I was inspired to write this post after I started going through my old posts to see what I needed to do to improve them. With over 10,000 posts, it’s going to take me awhile. I was shocked at how many mistakes I made back then. 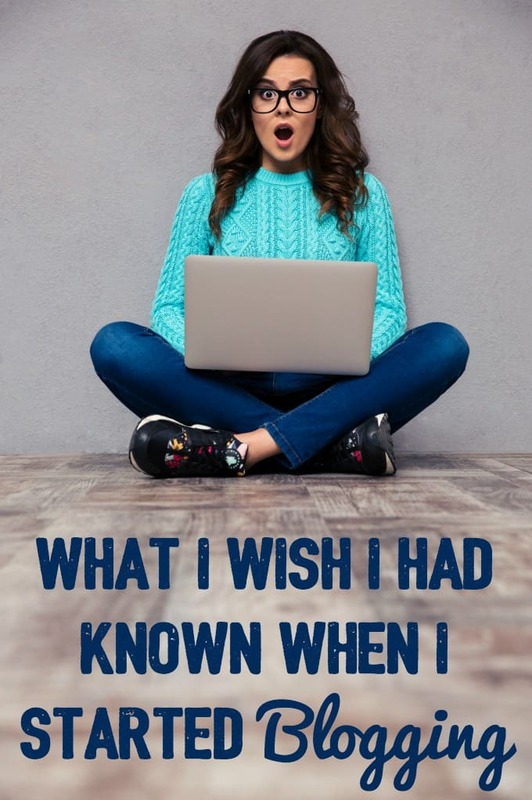 If I only knew then what I know now, I would have saved myself so much time! I’m currently on October 2010 and it’s excruciatingly slow. 1. I wish I had known about SEO. With the help of the plugin, WordPress SEO (Yoast), I’m now giving all my indexed posts keywords, SEO titles, and meta descriptions. I try and get the SEO Check button to turn green if I can. I’ve already noticed an increase in search engine traffic since doing a little work on these older posts. 2. I wish I wouldn’t have published so many low content posts. I’m now noindexing all the shorter posts (under 250 words) that really offer no value. These include old coupons, giveaways, hops, and some reviews. The reviews that I write are always on the longer side, but I let my previous writers get away with sending me some pretty short reviews that really were not valuable to the reader. I have noindexed those and made guidelines for my current writers to follow when writing their reviews. I’m definitely much more picky about the content I put out there. 3. I wish I would have started working on my photography sooner! I look back to my photos a few years ago and they were horrid. I’m talking embarrassingly bad. I started using a Canon Rebel DSLR and taking online courses in photography. I’m a work in progress, but I’m improving my photography skills slowly. I’ll keep working on that. 4. I wish I would have known about nofollow/dofollow links. That’s another task on my list when I go through the old posts. I’m nofollowing anything with a material connection like affiliate links, paid posts and reviews. 5. I wish I would have been more organized. I now have a Content Calendar (thanks to Content Brew) that I use to plan my posts. I live on Google Drive! Seriously I’ve got like a million spreadsheets, but they help me keep on track. I have a spreadsheet for keeping track of my blogging income, my writer’s reviews, and my taxes. 6. I wish I would have started building my email list sooner. I have my regular daily newsletter with the posts from that day, but I also have a separate weekly newsletter I send out. It brings in a nice boost of traffic! 7. I wish I would have bought all the domains with my site’s name. I ended up buying most of them through Godaddy, EXCEPT the .com. It’s already taken. 8. I wish I would have known about Google Adwords. I now use the Keyword Tool to research the popularity of keywords. If you are looking for ideas for posts, it’s an excellent resource. I asked my fellow bloggers in a blogging Facebook group to tell me their biggest blogging mistake. I can relate to so many of them and was sitting there nodding my head and saying, “Yep” as I was reading through their responses. Can you relate? What was your biggest blogging mistake? This post was previously published on February 12, 2013 on my blogging blog. I’m closing that blog down and moving the content over here. Keep an eye on my Blogging tips category! Want to start a blog? Read my post about how to start a lifestyle blog. This was a very interesting post. I think that blogging is a tough job, always coming up with something new that will interest a lot of people is really hard. I know I couldn’t do it. Stacie your photos are wonderful, they really are. I don’t know your earlier ones but they are good now. Interesting read, lots to know when you are blogging. You do a great job at it! Very informative post, I didn’t know many of these tips about blogging before I read this. This is good advice. I kinda start and stop blogging which I think is probably one of the worst mistakes you can make. I am going to spend some time over the next few weeks and re-read this and some other blogging advice posts and see what I want to do. Thanks!